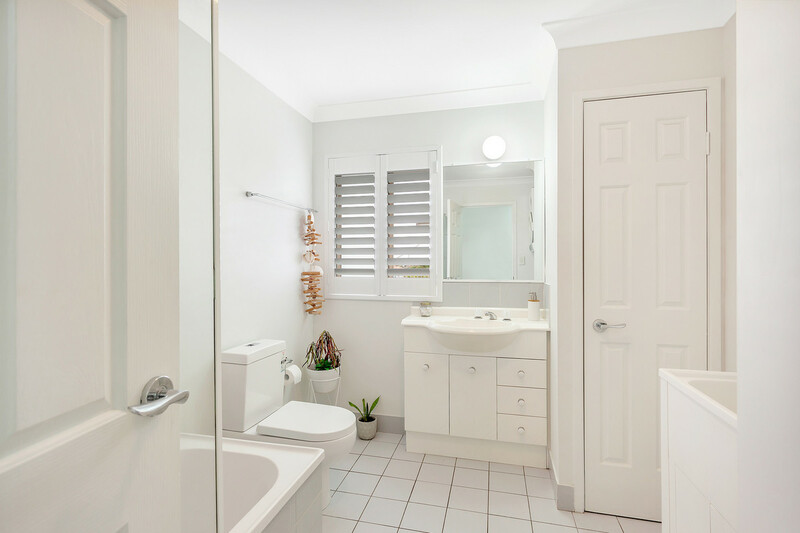 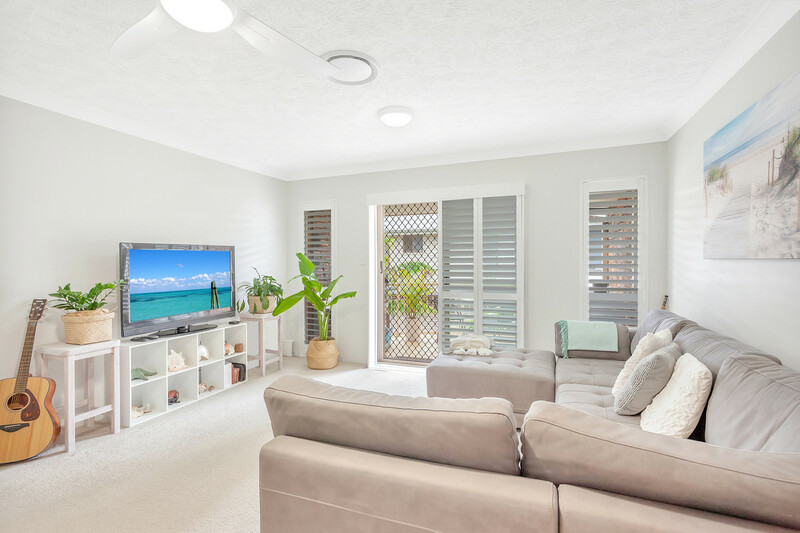 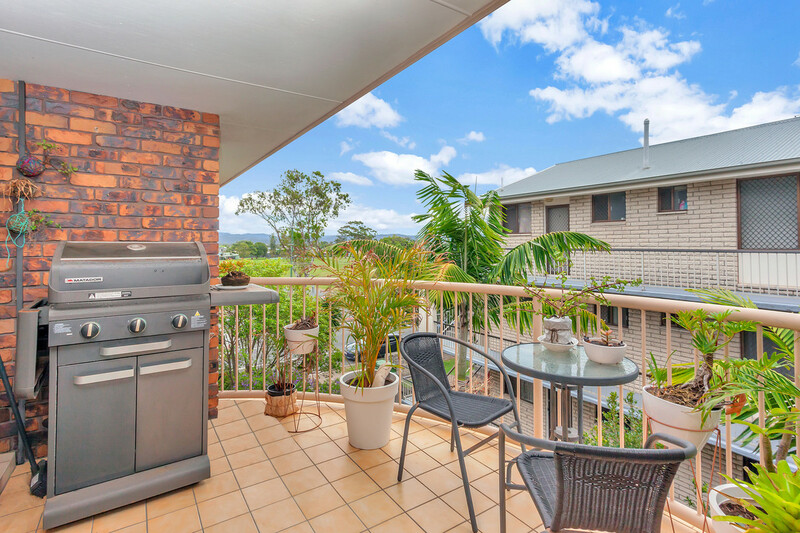 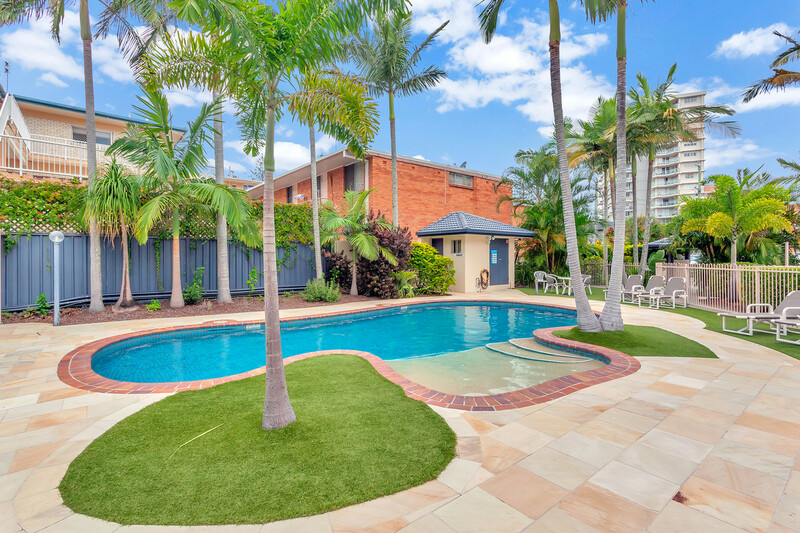 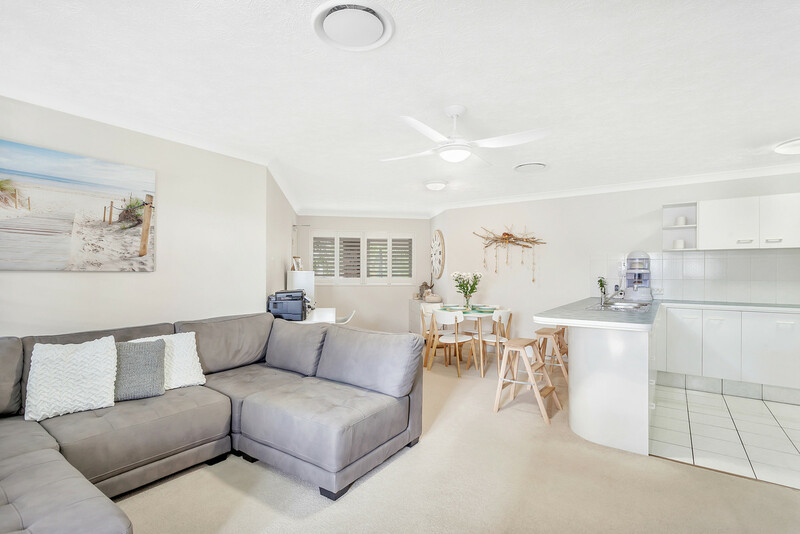 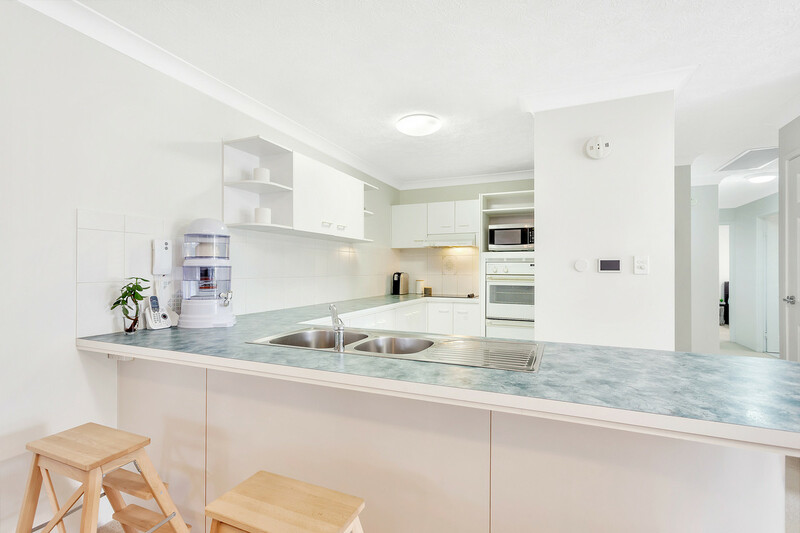 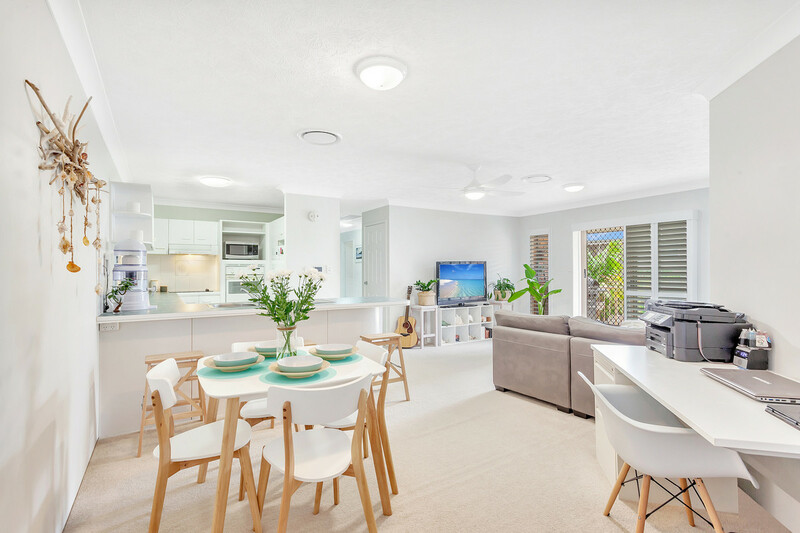 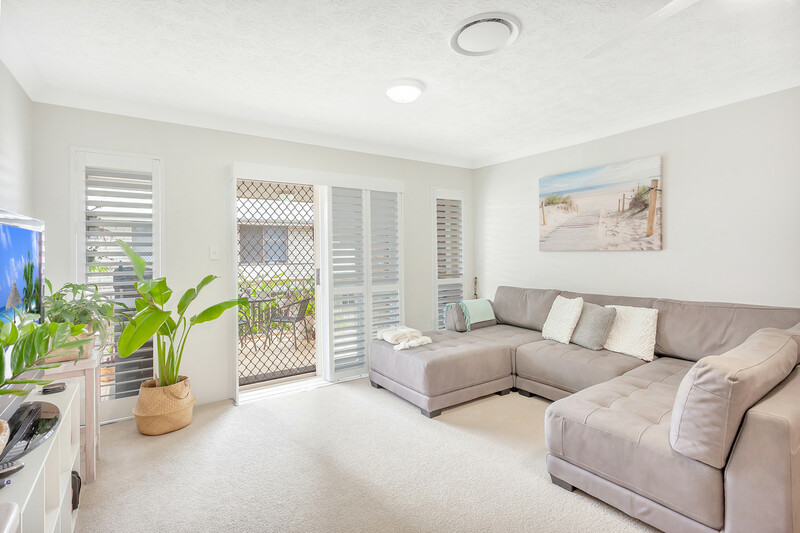 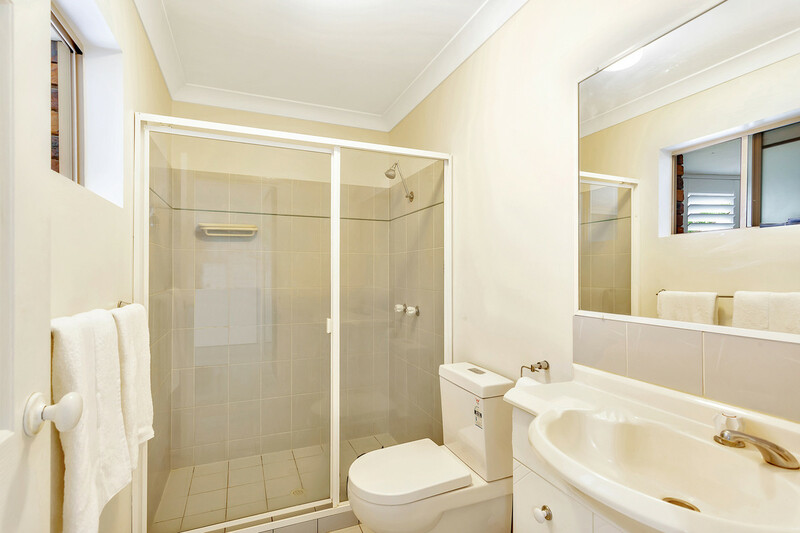 This North facing top floor corner light filled walk-up apartment is located on First Ave “Ocean Sidecove” right in the heart of Burleigh Heads. 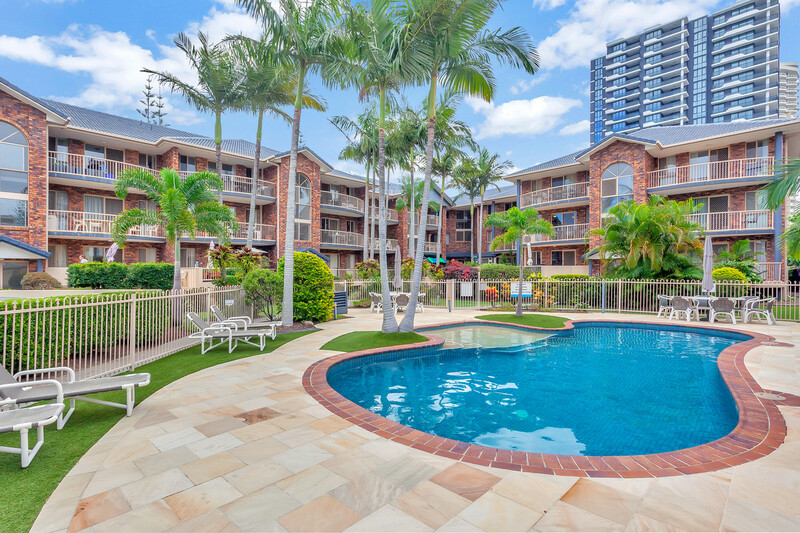 3 bedroom units in such a desirable location and at this price point are are rare find indeed, so you’ll need to get in quick for this one. 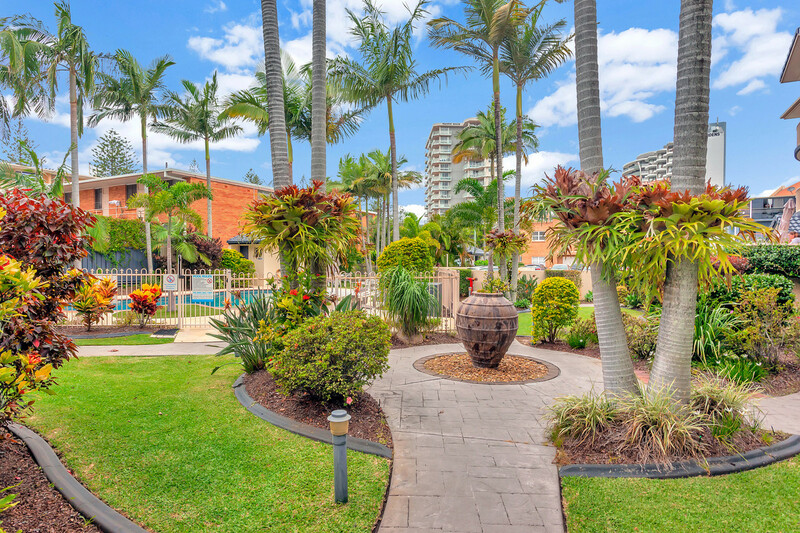 This spacious apartment consists of 3 large bedrooms, 2 bathrooms and boasts a generously sized open floor plan from the kitchen and living, out to the balcony. 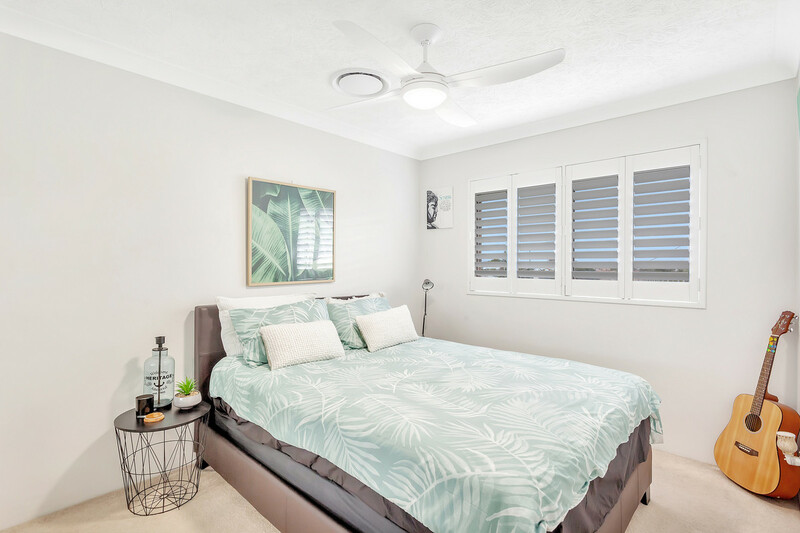 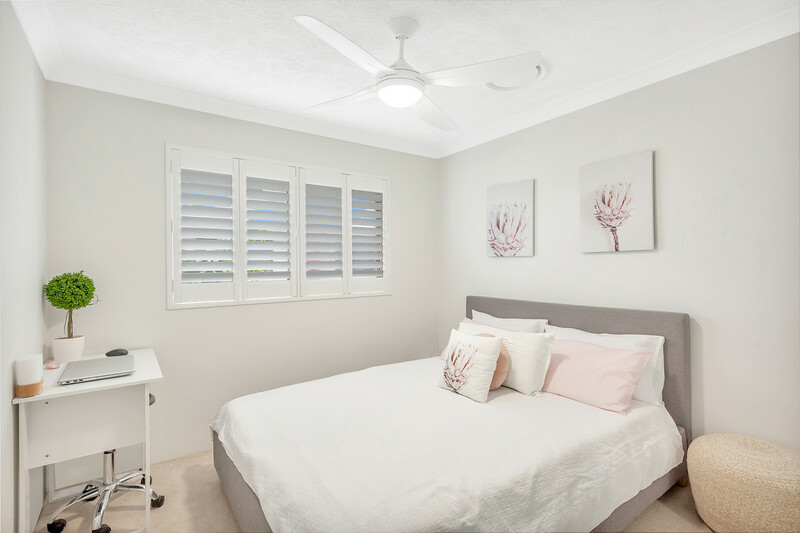 New window shutters & fans throughout and brand new ducted air conditioning means you can ensure comfort all year round. 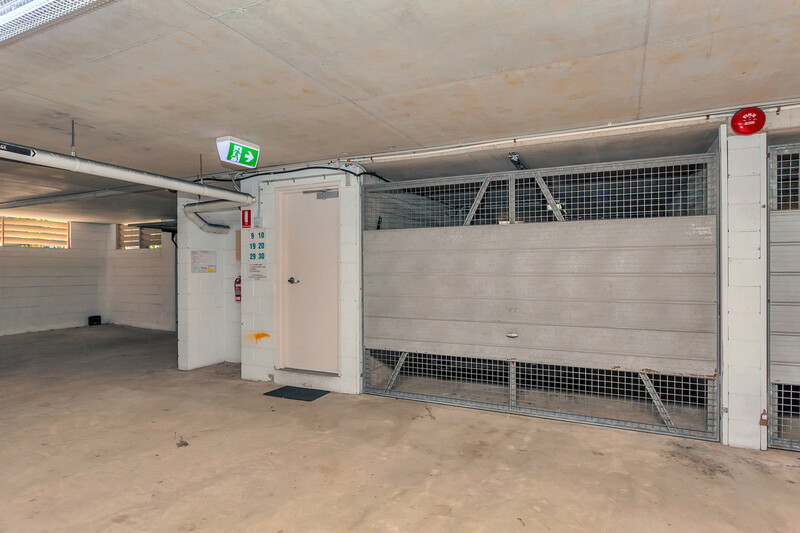 Leave the cars at home and know they will be safe and secure in their double lock up garage as you are only steps to the bustling center of Burleigh. 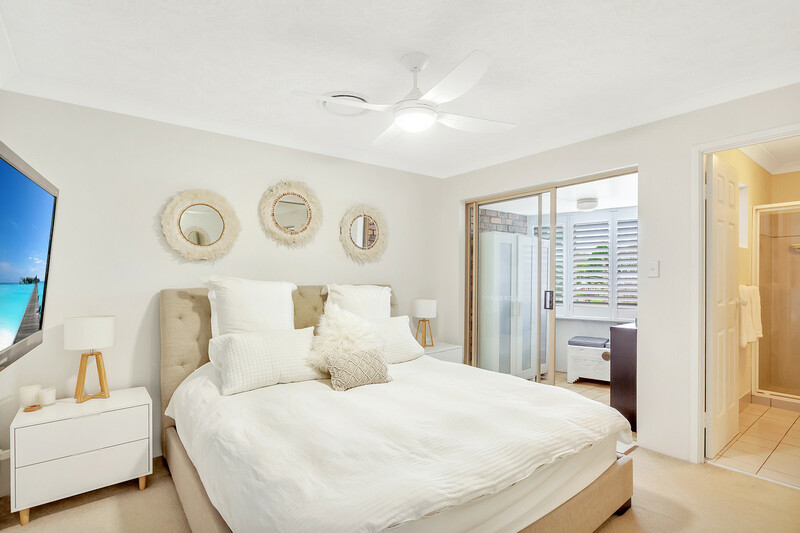 Positioned only meters to the world famous Burleigh Beach your mornings sunrise & evening’s sunsets are about to get a whole lot better, coffee, surf, yoga in the park or enjoy a meal at one of the many fine restaurant or hotels or maybe you prefer to shop a while on popular James St one thing is for sure that you won’t want to miss out on this exclusive lifestyle.